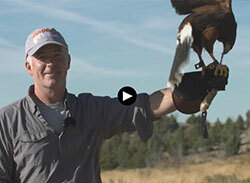 See the host of Las Vegas PBS television show "Outdoor Nevada" visit Jim Tigan and his raptors at Animal Ark in Reno. Watch here! 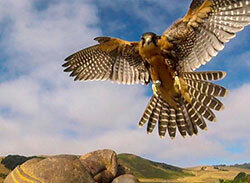 Watch Kathleen Tigan explain the workings of Tactical Avian Predators on national TV news. CBS Sunday Morning John Blackstone on the use of Falcon abatement in Sonoma, CA. Watch here! 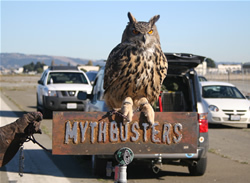 Watch for the reruns of "Radar Gun Myth" and "Pigeons on a Truck"